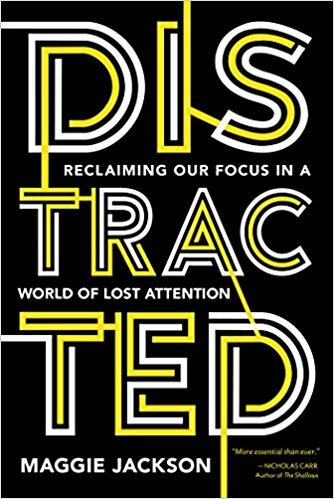 Award-winning journalist & author of Distracted: Distracted: Reclaiming Our Focus in a World of Lost Attention. Our attention is embattled as never before, hijacked by “smart” software, undermined by relentless info-streams, and diluted by our own split-focus efforts to keep up with it all. How can we reclaim our focus, wake up to what matters, and once again manage our devices and our days? In this talk from the author who sounded the first warnings of our crisis of distraction, we learn the secrets to rekindling our highest human capacity, the key to good problem-solving, creativity, and human bonds. 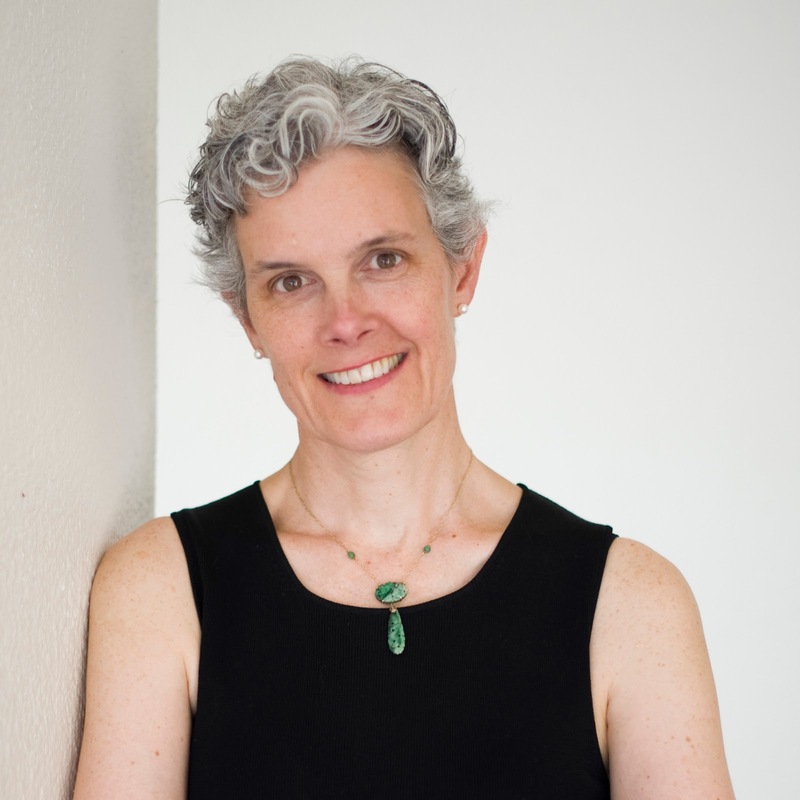 Drawing on exciting discoveries from the new science of attention, Maggie Jackson reveals what is at risk in this era of always-on connectivity and the secrets to turning data into knowledge and distraction into masterful attention. She offers both a wake-up call and a path forward as we reckon with one of the most pressing problems of our time. In an era of echo-chamber news, social media flame wars, and rising divisions, how can we respect and value even extreme differences with others? Drawing from an astonishing chapter in US history and the latest in cognitive science, Maggie Jackson tells of a legendary friendship between a KKK leader and a civil rights activist that can help reveal the steps we can take to heal our divisions today. In this talk, we learn the ripple effects across communities of tiny acts of tolerance and discover why opening our gated minds makes us more creative, flexible thinkers in all walks of life. Jackson’s words tell a simple story: of seeing possibility where we least expect it in thought, in others, in the world. Maggie Jackson is an award-winning author and journalist known for her penetrating writings on social trends, particularly technology’s impact on humanity. Her acclaimed book Distracted sparked a global conversation on the steep costs to our tech-centric, attention-deficient modern lives. With a foreword by Bill McKibben, the book reveals the scientific discoveries that can help us rekindle our powers of focus in a world of overload. Named a Best Summer Book by the Seattle Post-Intelligencer and featured in media worldwide, Distracted offers a “richly detailed and passionately argued … account of the travails facing an ADD society” (Publishers Weekly) and “concentrates the mind on a real problem of modern life” (The Wall Street Journal). Jackson's commentary and articles have appeared in The New York Times, The Wall Street Journal, Los Angeles Times, and on National Public Radio, among many other publications across the globe. 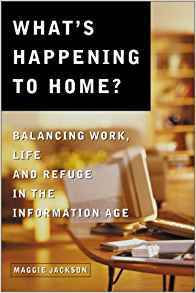 Her essays feature in numerous anthologies, including State of the American Mind: Sixteen Leading Critics on the New Anti-Intellectualism (Templeton, 2015) and The Digital Divide: Arguments For and Against Facebook, Google, Texting and the Age of Social Networking (Penguin, 2011). She is the recipient of numerous fellowships and awards, including Media Awards from the Work-Life Council of the Conference Board and the Massachusetts Psychological Association, and three Front Page Awards from the Women’s Press Club of New York. For a National Public Radio segment on the lack of labor protections offered to child newspaper carriers, she was a finalist for a Hillman Prize, one of journalism’s highest honors for social justice reporting. Jackson has served as an affiliate of the Institute of the Future in Palo Alto; a Journalism Fellow in Child and Family Policy at the University of Maryland; and a Scholar-in-Residence at the Museum for Art in Wood in Philadelphia. Her website has been named a Forbes Top 100 Site for Women three times. Jackson’s work and thought have been featured in media worldwide, and she is a sought-after speaker, appearing at Harvard Business School, the New York Public Library, the annual invitation-only Forbes CMO summit, the Simmons and other top women’s leadership conferences, and other corporations, libraries, hospitals, schools, religious organizations, and bookstores. A graduate of Yale University and the London School of Economics with highest honors, Jackson lives with her family in New York and Rhode Island.